Slow but steadily I'm stitching away. 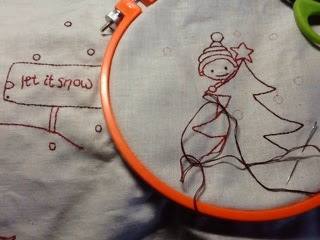 Only 2.5 more of these little stitcheries to do, then I can start designing the quilt! I hope to have it completed later in the year .....but .....please don't hold me too it lol. That little elf is so cute. Very cute, quilt will look wonderful.